St John is in a land of dead churches. Within a couple of miles there are three ruins, and St John was lucky not to join them. In medieval times, Rushford was home to a college of priests, and this was their church. 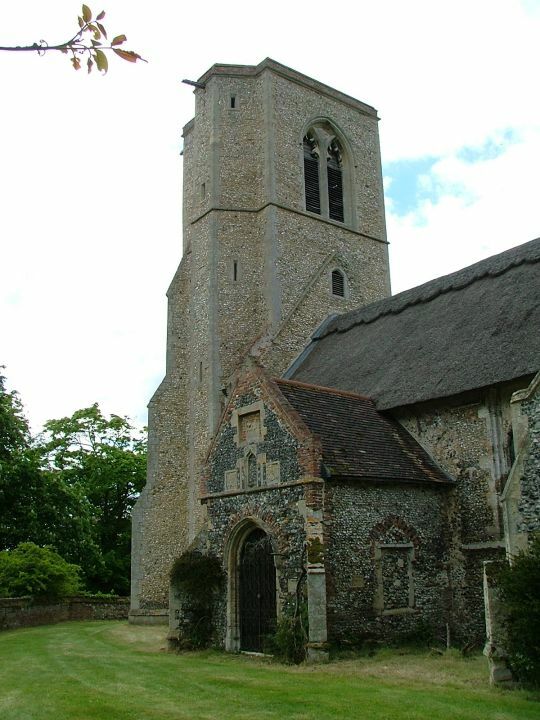 The founder was Edmund Gonville, and the date, 1342, puts the tower windows at the absolute peak of the Decorated style. A few more years, and the Black Death would make us all serious and Perpendicular. 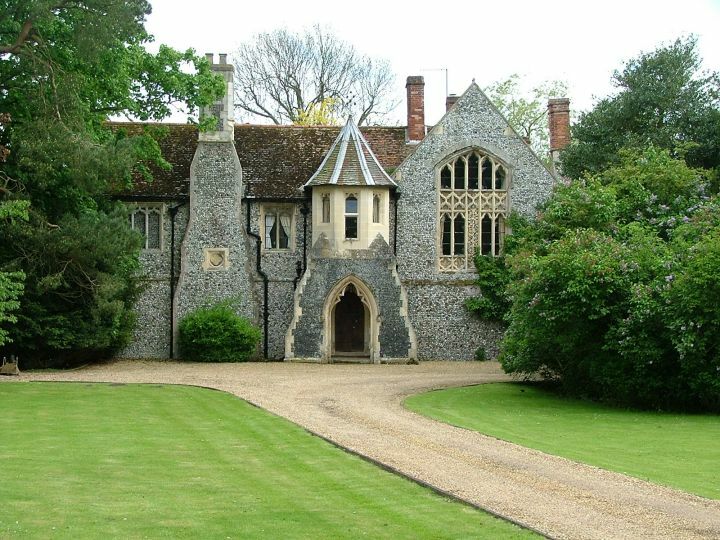 Excitingly, the college building survives, just to the south of the churchyard, a stunningly lovely house that is obviously still someone's pride and joy. St John has been rather more battered over the centuries; this, and a radical 19th century overhaul, may explain its somewhat ideosyncratic appearance today. 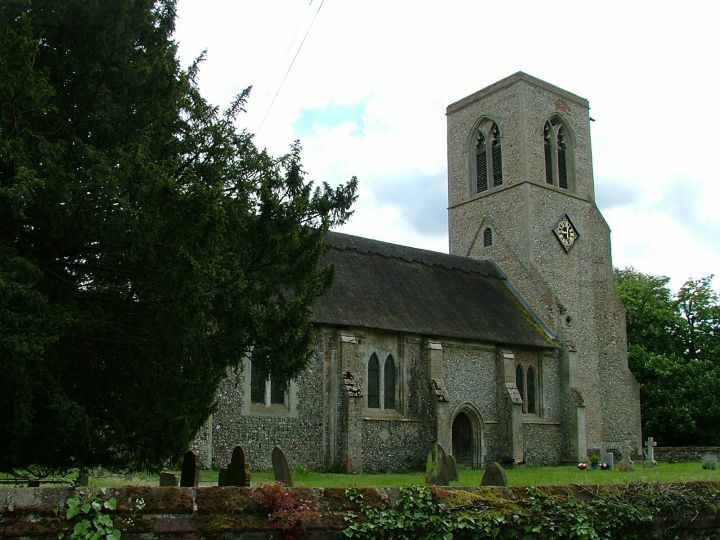 But still, it might be familiar to you, especially if you are a fan of cult films, for this was the church used in The Witchfinder General. I get a query about the location of the filming about once a week, so hopefully search engines will pick this page up. 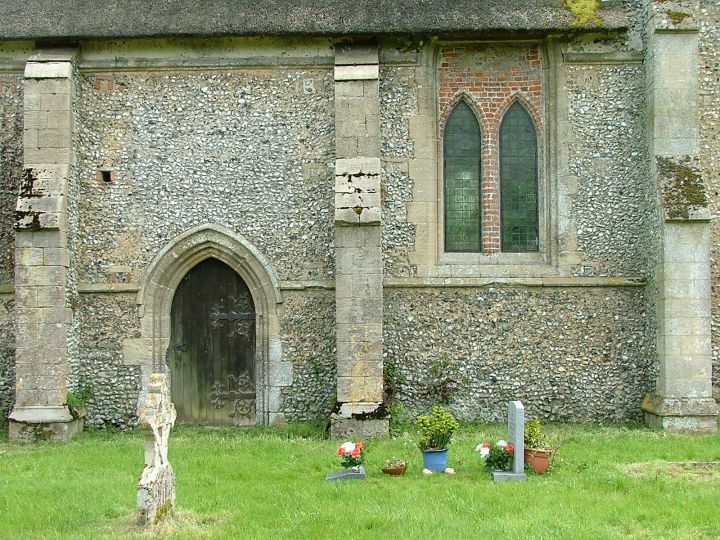 The film is set in Suffolk, and although we are in Norfolk here this is probably the closest church to the border - you could throw a stone into the southern county from the graveyard. The film is set in the 17th century, and it is an irony that, in fact, this building was not in use as a church at that time but as a barn for the Rushford estate. The chancel was ruinous; being a college church, this would have been rather large. 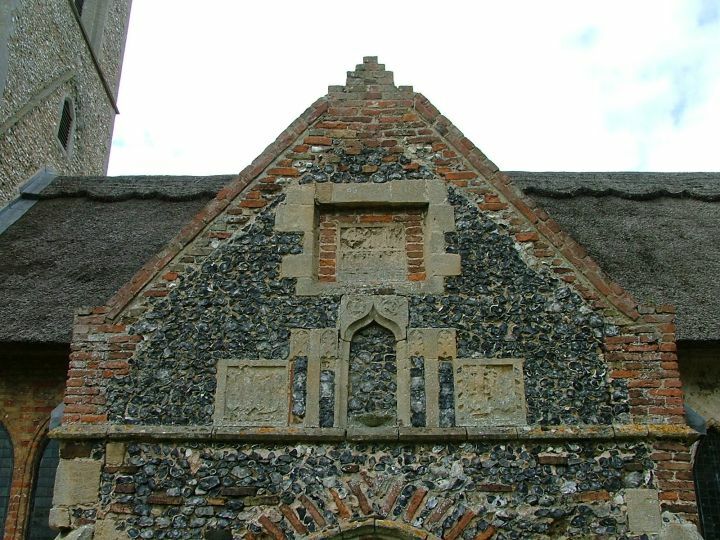 When the building was repaired and returned to use by the owners of the hall at the end of that century, they filled in the nave windows with cement and brick double lancets, and the chancel was demolished. You can still trace its remains in the graveyard today. 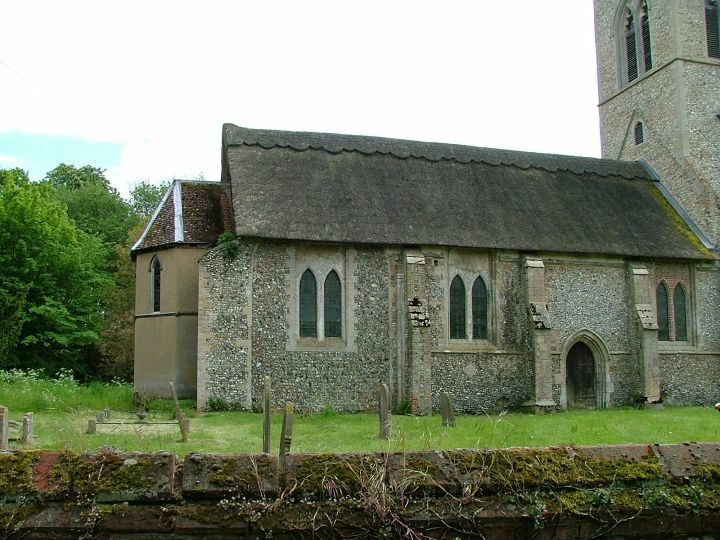 The curious buttresses against the east wall that you can see in the picture above are parts of the north and south walls, and set inside them are the springings for the chancel arch. The ugly apse between them is apparently the work of the maverick 19th century architect Samuel Teulon, who did a major restoration here; only the tower and the nave walls survive of the medieval church. 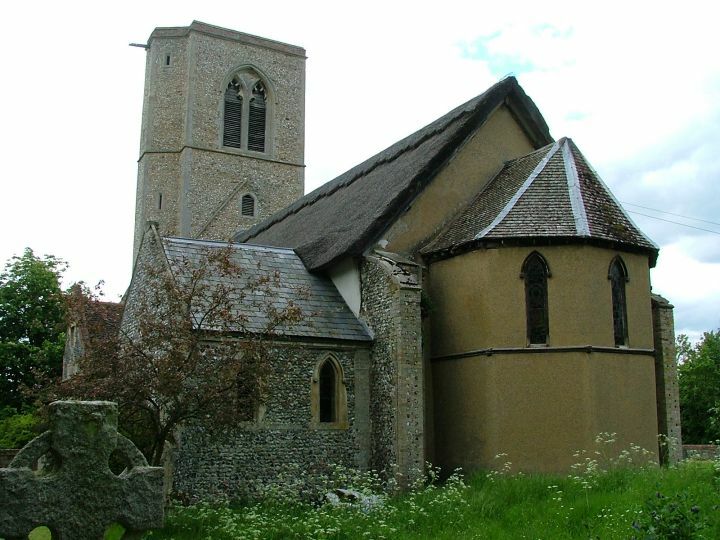 The exterior is a curious combination of the stark and the attractive; the thatched roof is pleasing, the nave windows at least interesting, the tower dramatic. But the nave is wholly out of proportion with the tower; you can see by a drip course on the eastern face that it was once much taller. And we've already mentioned the apse. What is this church like inside? I have no idea. Martha and I had wandered around to the south side, enjoying the busy bees humming around the churchyard flowers, the scent of fresh-cut grass, only to find a massive, ugly padlock and chain wrapped around the porch door, and a big sign saying Sod off, you can't come in. Okay, I'm making it up about the sign; but the padlock and chain say pretty much the same thing. There was no keyholder notice, and I might have taken St John for a redundant church were it not for two closely typed laminated sheets of A4 paper on the noticeboard which, on close inspection, turned out to be a safety policy for people using the building and grounds; mostly an attempt to avoid insurance payouts, I imagine. The pictures below are by Peter Stephens, who managed to get in on a Historic Churches bike ride day. 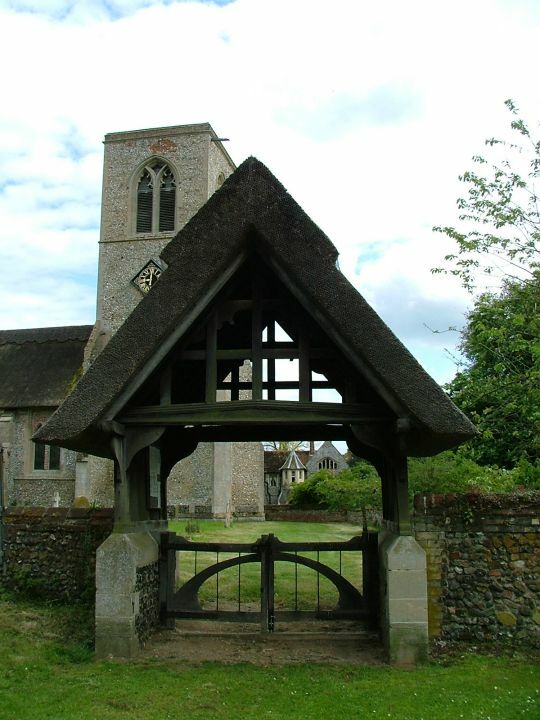 Peter has also experienced the padlock, and I can help suggesting that the Norfolk Historic Churches Trust should take this complete lack of hospitality into account when the church next applies for a grant. I had just come from the open, welcoming churches of the Lophams, where I had enjoyed my visit so much that I had been unnecessarily lavish in my contributions to church funds. Obviously, my visit to Rushford saved me money, but it was a reminder to me that an open church is the most powerful act of witness that the Church of England has. 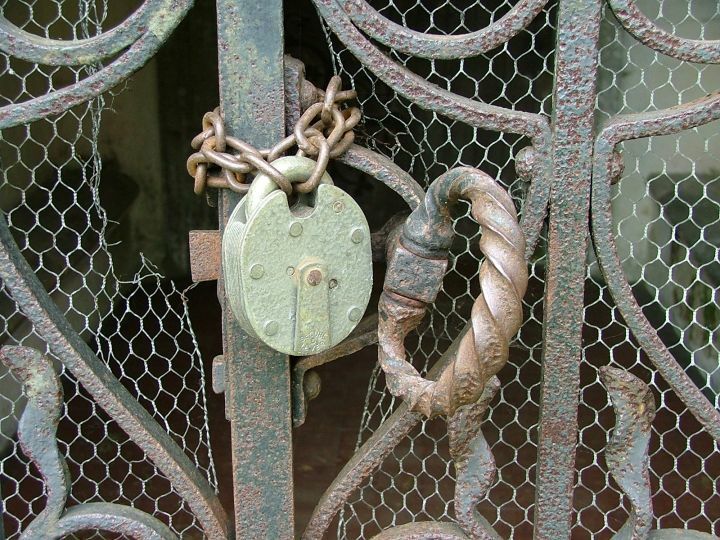 The message that comes from a locked church, especially one with an ugly padlock, is quite different. 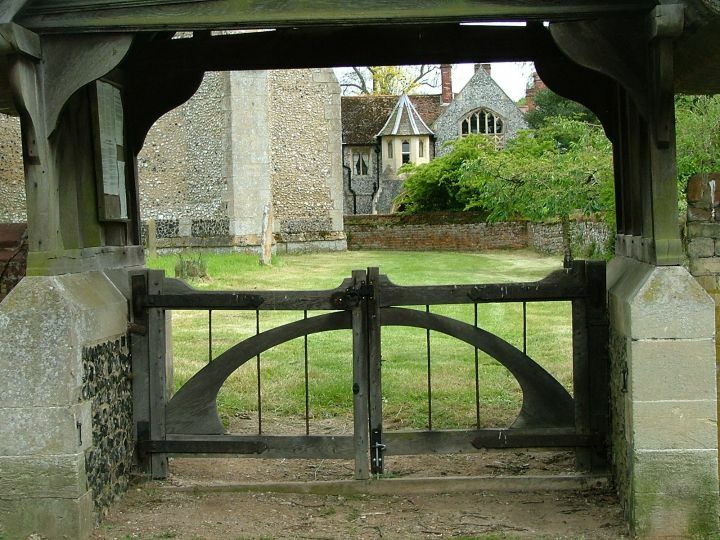 If churches cannot fulfill the Gospel requirement to welcome the pilgrim and stranger within the gate, then they are dying churches. Perhaps St John will one day join those ruins after all.